FREE MONTHS RENT!! Sign A One Year Lease And Receive Half Months Rent During the 6th and 12th Month - Equaling One Full Month Free!! Talk about location! Nestled in the quiet and convenient Kenilworth community this basement suite is sure to impress! 10 minutes to the downtown core and 5 minutes to Sherwood Park! Walking distance to various shopping amenities including Ottwell Shopping Plaza! 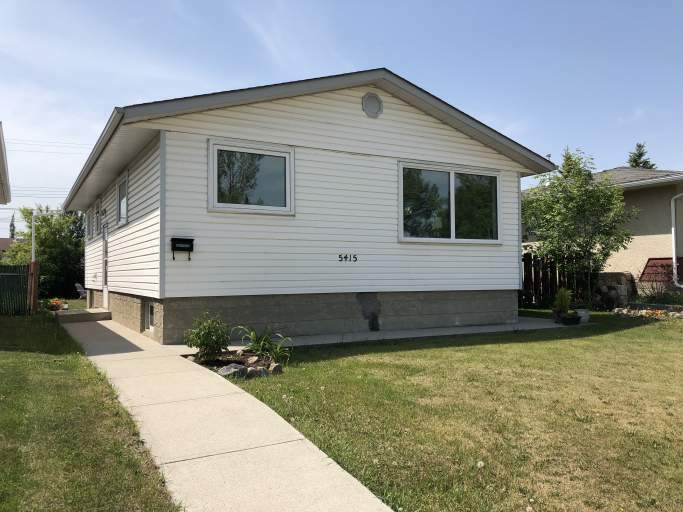 This unit is perfect for students as Kings University is across the street and Macewan, U of A and NAIT are easily accessible via public transportation! The basement offers a bright perfectly sized carpeted living room perfect for any furniture arrangement along with a spacious kitchen full of features, including ceramic tile flooring, beautiful white cabinetry, stylish dark countertops and a large window! You'll love the space this kitchen offers! The kitchen is complete with a fridge, stove and even a dishwasher! Off the kitchen is the large updated bathroom complete with a tiled tub shower and modern vanity. Off the living are the two large bedrooms each filled with tons of natural light and offering built in closets. Laundry is shared with the main floor tenant. Access to the fully landscaped backyard is shared with the main floor tenant. Call today to view this basement suite, it won't last long! !